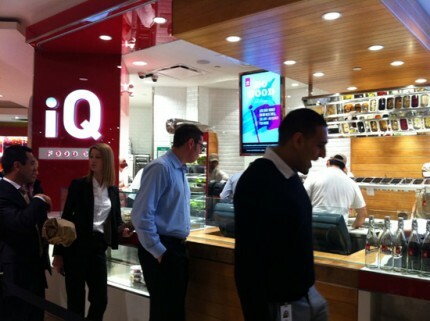 Seems like everyone has something good to say about iQ Food Co., one of our latest digital menu board clients. 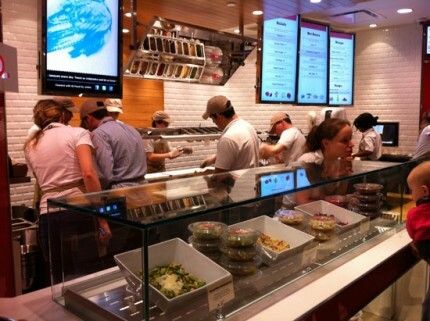 Air Canada and Metro News have praised the fresh, healthy and focused food offering of the Concourse Level-located quick-serve at 100 Wellington Street West in Toronto. Jennifer Bylok over at Spotlight Toronto has a nice review of iQ Food and was nice enough to include some great pictures, some of which feature the digital menu boards. I posted a couple of the images below but you can read the review and see the rest on Spotlight’s site. You can also find out more about iQ on their website.